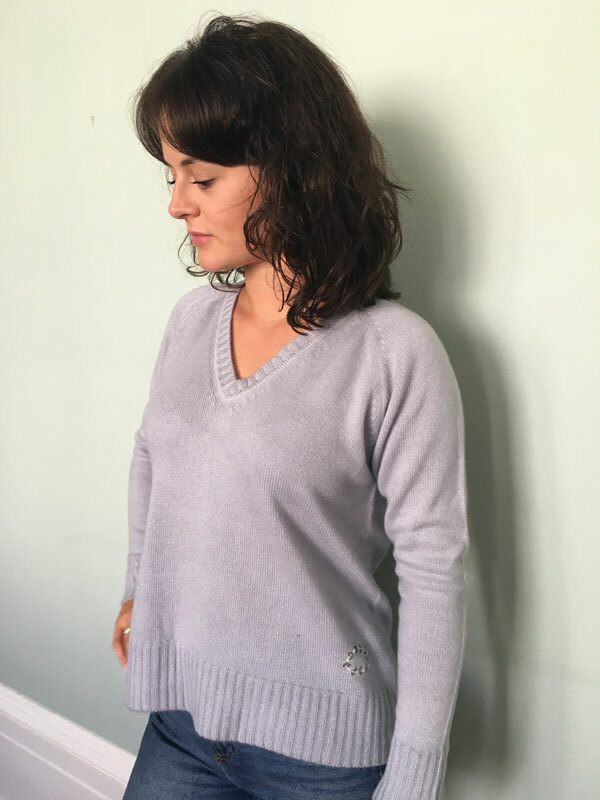 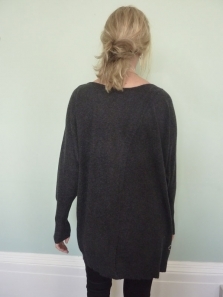 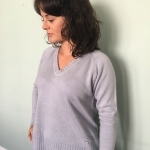 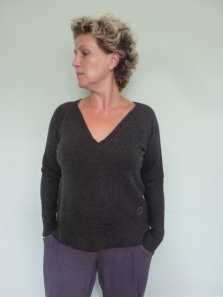 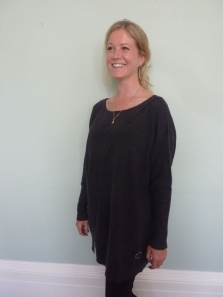 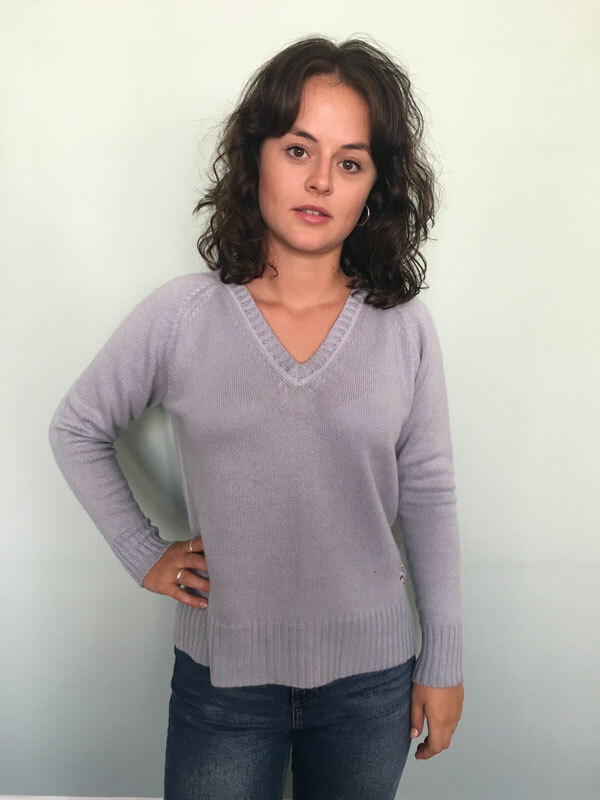 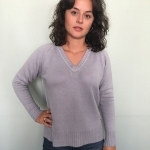 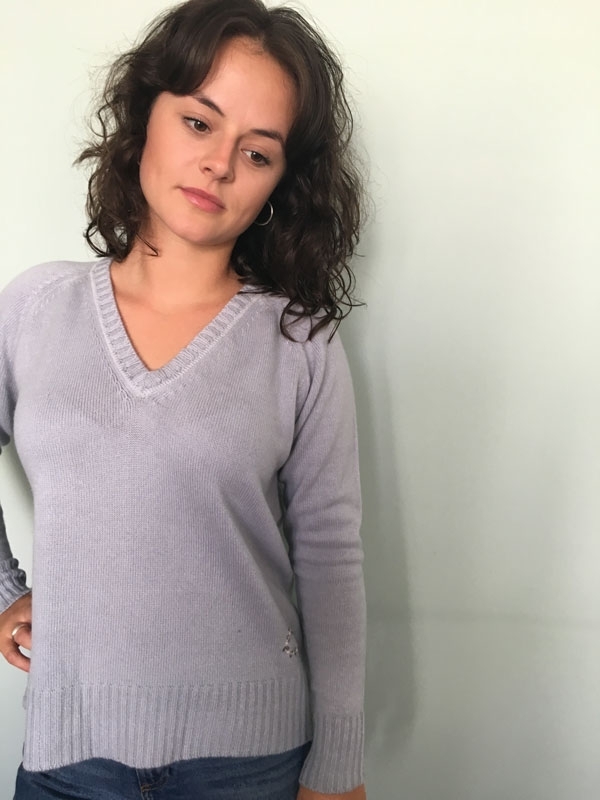 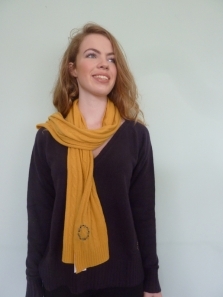 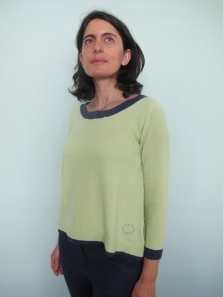 A delightful, easy to wear double cashmere raglan jumper. 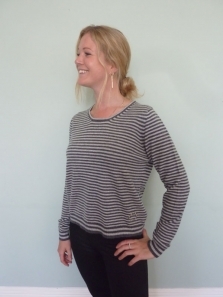 Extra luxurious, extra long sleeves and the perfect length to wear with trousers or jeans. 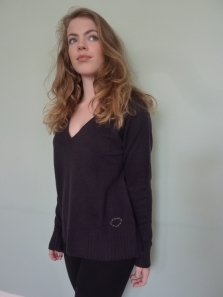 Our signature embroidered wreath on front at hem.